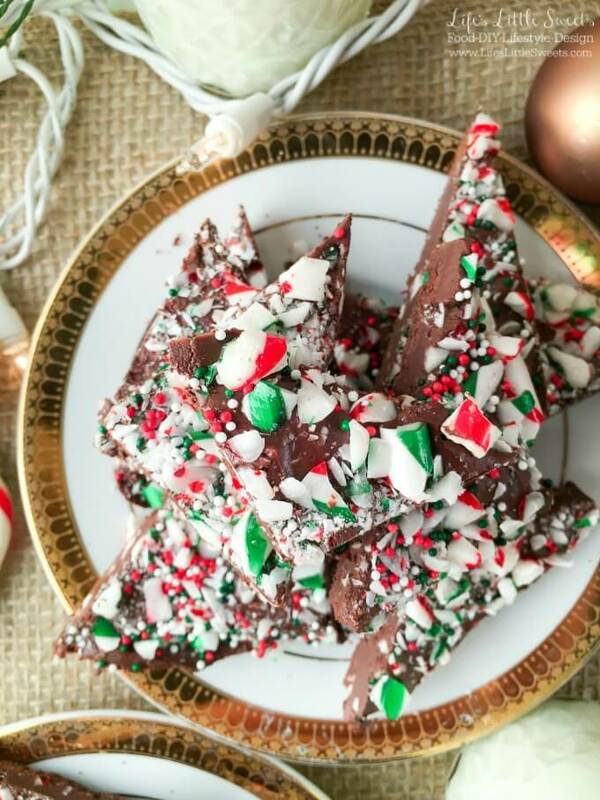 This easy to make Easy Peppermint Candy Cane Bark recipe is a sweet and refreshing treat that only takes minutes to prepare . It’s perfect as a holiday stocking stuffer, great to give as a gift in jars and make for yourself too! Heat chocolate morsels in a microwave safe bowl at 30 second intervals until melted, stirring in between. Stir in peppermint extract to the melted chocolate. Spread melted chocolate into a 13" x 9" rectangle. Sprinkle crushed candy canes and nonpareils or sprinkles over the top. (Note: You can spread 1/2 the chocolate and sprinkle with half the toppings, then spread the remaining chocolate and the remaining toppings as I did in the photos as well) Allow to cool completely. You can speed up the process by refrigerating for 10 minutes. Cut into desired size pieces. Package for gifts or serve and enjoy! an offset spatula or baking spatula helps with spreading the melted chocolate.